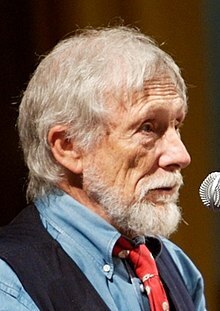 An American poet, essayist, lecturer, and environmental activist. Snyder is a winner of a Pulitzer Prize for Poetry. He has frequently been described as the "laureate of Deep Ecology". His work in his various roles reflects his immersion in both Buddhist spirituality and nature. Some or all works by this author are in the public domain worldwide because it has been so released by the copyright holder. Other works by this author may be copyrighted.